If you're looking for the best deal possible in a vacation home in Myrtle Beach, you should definitely look into the Little River community. 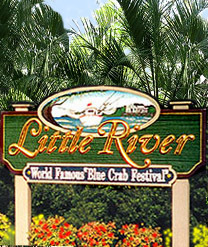 Located in the far north of North Myrtle Beach, Little River begins right across the main bridge on Highway 17, and goes to the border of North Carolina at Calabash, NC. The Intracoastal Waterway loops around at the north end, hence the bridge, and many beautiful condos and townhomes are located right past it. A home or condo in Little River is less than 5 minutes from the beachfront in Cherry Grove and convenient to all that North Myrtle Beach has to offer. Yet the taxes are much lower, your homeowner's insurance is lower, and the traffic and hub-bub are non-existent for the most part. Little River has a lazy, residential ambiance to it, with wildlife and natural water bodies abounding. You'll find a lavish yacht basin called Coquina Harbor near the main bridge, and it is surrounded by beautiful condos, townhomes, and villas, all with a water view. 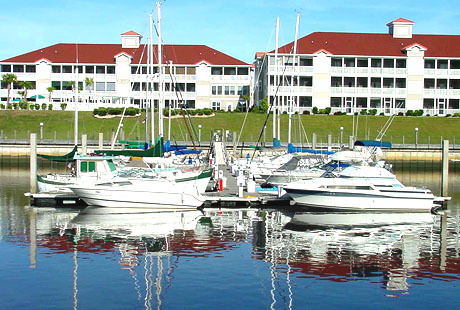 The first set of these condominiums is called Lightkeeper's Village, and four other condo complexes are collectively known as the Coquina Harbour Condos. Directly across the street, you'll find one of the best bargains to be had in the Grand Strand, the Little River Inn Resort condos. Under $100k, these inexpensive homes are great beginner condos, with yearly rentals and many full-time residents. Further down Hwy 17 you'll find some beautiful condos that are still very reasonably priced, the Gardens at Cypress Bay, and right past them are the Cypress Bay Golf Course condos. In fact, there are quite a few golf communities in Little River, on Hwy 17 and also heading away from the beach on Highway 9. If you desire a luxury gated community with a private home on the greens, you won't lack for courses to choose from. You'll also find the Seacoast Medical Center, a small emergency hospital facility that is part of Loris Hospital out that way; as well as physicians, dentists, a veterinarian clinic, grocery and drug stores, and much more. Back on Hwy 17, about 4 miles from the main bridge, you find Little River's Waterfront. 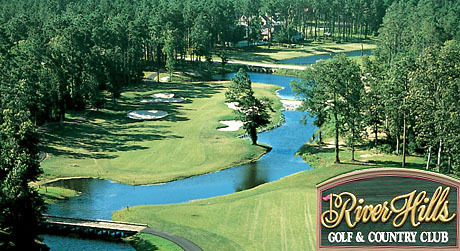 Connected to the Intracoastal Waterway and the ocean, the inlet extends to Calabash and beyond, and provides access to the ocean, paving the way for South Carolina's only legalized gambling - the Little River casino boats. Plan for several hours either during the day or the evening, and come aboard Las Vegas on the water. Whether you want to gamble or just love a nice boat ride, this is a great way to spend a day, and you might come back with a jackpot! Also by the Waterfront, there are several festivals each year: the famous Little River Blue Crab Festival in May, and a "Shrimp and Jazz" Festival later in the year. There are also several gated golf course communities on this main drag of town. One of the most exciting waterfront condo communities sits a few blocks from the Waterfront; Mariners Pointe. 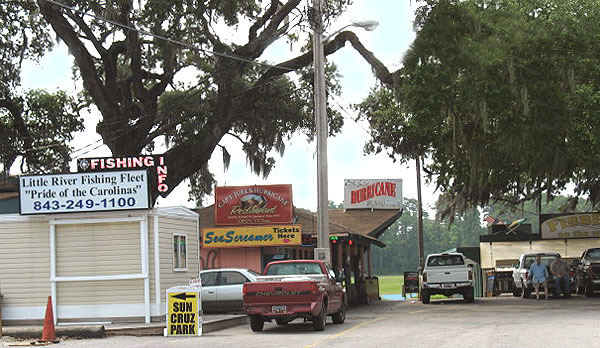 Little River was originally a fishing port, and it is still one of the best places to charter a daytime fishing excursion or just fish off the docks and pull in an occasional mullet along with the crabs and eels. Another hidden treasure is the Belle Amie Winery of Little River, which offers live music, wine tasting, and more cultural entertainment. Add to all this some of the best seafood and specialty restaurants in the Grand Strand, and it's evident that there's always plenty to do for entertainment in this sleepy little town! 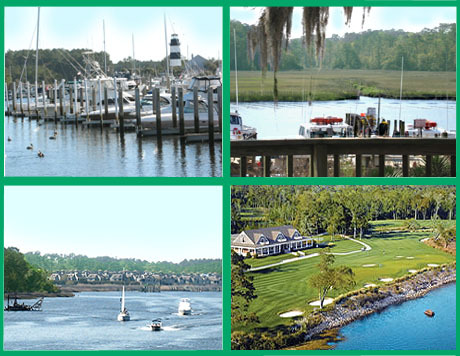 Little River offers its own peaceful way of life, and its many residents love calling it home. If you aren't dead-set on the oceanfront, let us take you on a tour of the town and its many housing options.